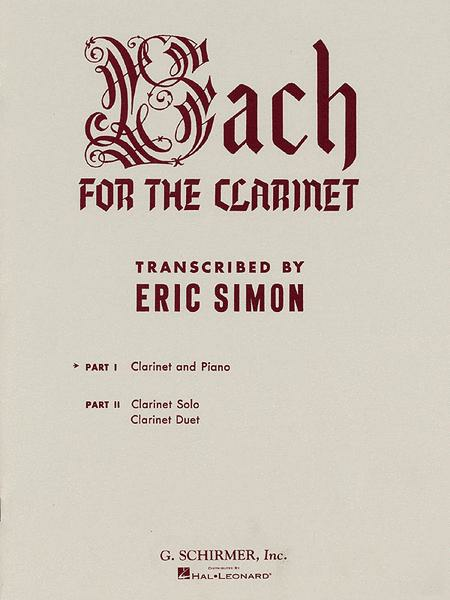 Composed by Johann Sebastian Bach (1685-1750), arranged by Eric Simon. For clarinet solo and piano accompaniment. Includes separate pull-out clarinet part. Format: set of performance parts. With standard notation and solo part. Baroque. 32 pages. 9x12 inches. Published by G. Schirmer, Inc..
With standard notation and solo part. Baroque. 9x12 inches.